Perks: 24/7 phone and online support, free shipping. Cancellation: Cancel any time - full refund if cancelled within the first 45 days of purchase. We found items you might also like. Please add an item to your cart to view shipping options. By changing your shipping address, your tax amount may change. The final tax amount will show on the review order page. You have changed your shipping country. Please review your order, as currency/pricing may have changed and items that are unavailable in your country may have been removed from your cart. Great gift choice. You can have Fitbit send an email to the recipient, and include a special message to make your gift more personal. Want us to send an email to the recipient of this gift? When should we send this heads-up? Click NEXT to enter your payment details. Click NEXT to review your order. Fitbit orders ship Monday-Friday, and arrive based on the shipping method selected. Orders placed before 11AM PST ship the same day. Once your order has been sent, you'll receive an email that includes a tracking number for your shipment. Any items on back-order will ship as soon as they become available. Standard Shipping delivers within 5-7 business days, Expedited Shipping within 2 business days, and Overnight Shipping within 1 business day. Overnight and Expedited shipping is not available for PO Box, military or some U.S. Territory & Freely Associated State addresses. When shipping to American Samoa, Federated States of Micronesia, Marshall Islands, Northern Mariana Islands and Palau, Standard Shipping delivery may take 5-8 business days. To determine the right fit for your wrist, please use our sizing tools for Fitbit Ionic, Fitbit Charge 2, Fitbit Flex 2, Fitbit Surge, Fitbit Blaze, or Fitbit Alta. Please note that when you purchase a Fitbit Flex 2 and Fitbit Ionic, it comes with both large and small size bands. The only wrist-based trackers with interchangeable bands are Fitbit Ionic, Fitbit Charge 2, Fitbit Flex 2, Fitbit Blaze, Fitbit Alta HR and Fitbit Alta. The bands for Fitbit Surge are not interchangeable. What is Fitbit's return and warranty policy? The Fitbit.com Online Store has a 45-day return policy, which means that any product you purchase from Fitbit can be returned for any reason in exchange for a full refund within 45 days of your shipment date. Your Fitbit product also comes with a one-year manufacturer's warranty. 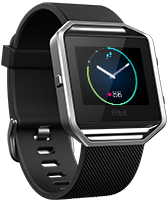 To read our full policy on returns and warranties, visit http://www.fitbit.com/returns. Fitbit accepts payment via all major credit cards - Visa, MasterCard, American Express and Discover - as well as Paypal. Fitbit charges the appropriate state and local sales tax in locations where we have legal obligations to do so, as determined by the shipping address. Tax will also be applied to shipping and handling charges if required. 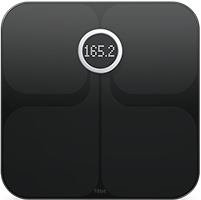 Fitbit currently collects sales tax from the following states: California, Connecticut, Florida, Georgia, Illinois, Indiana, Iowa, Kentucky, Louisiana, Maine, Maryland, Massachusetts, Michigan, Minnesota, Nebraska, New Jersey, New York, North Carolina, Ohio, Pennsylvania, South Carolina, Tennessee, Texas, Washington, West Virginia, and Wisconsin. Any other questions? Talk to our Fitbit Sales Center Monday through Friday (5AM - 8PM PST) or Saturday and Sunday (6AM - 6PM PST) by starting a chat in the pop-up or by calling (844) 434-8248. For customer support, please visit contact.fitbit.com. We didn't find an exact address match. Here are some suggestions: Please verify which addresses you'd like us to use.